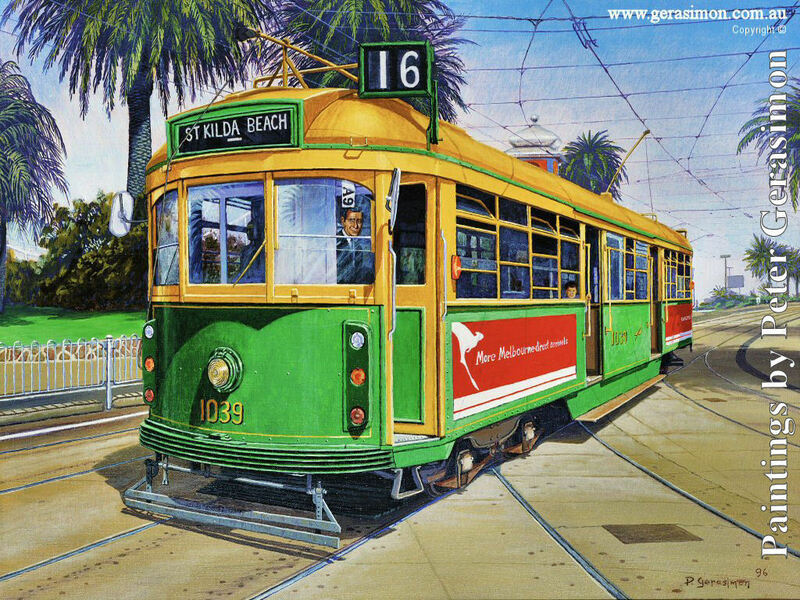 St Kilda Tram. The 16 to St Kilda - Melbourne. HD Wallpaper and background images in the Australia club tagged: st kilda tram art painting australia travel tourism image victoria melbourne.